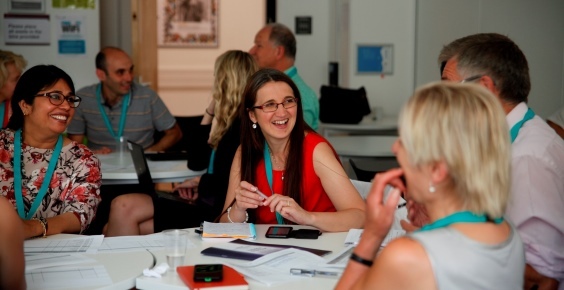 Doug Parkin, Principal Adviser for Leadership and Management at Advance HE, reflects on his experience as programme director of our acclaimed Leading Transformation in Learning and Teaching (LTLT) programme since it began eleven cohorts ago in 2013. In this short piece he highlights some of the key messages that have been consistently valued by participants. It has been an enormous privilege to design and co-facilitate the LTLT programme with Steve Outram over the last five years. We have worked with some amazing groups of colleagues from the sector who have brought to the programme and their own development passion, curiosity and creativity. The challenge of leading with influence in an academic context and engaging staff, students and other stakeholders in significant transformation initiatives has been our focus. As a short reflection around this, the ‘heart of change’ model below captures some of the positive principles that have underpinned our discussions and discovery. Positive because in every way that matters a vision for change should be at least as much about being drawn by the future as it is about being driven by the past. H – happiness – happy people perform well. An apparently simplistic thing to say, but as Shawn Achor (2010) tells us, “success orbits around happiness, not the other way round”. The principle here emphasises bringing an appreciate spirit of enquiry to change leadership: valuing the “best of what is” (Cooperrider and Srivastva, 1987) and making this part of the new dream for tomorrow. Leaders know that people are inspired by a dream, not a plan. E – engagement – engage the head and the heart to get people to ‘care enough’ to change. Perhaps one of the strongest questions you can ask about change is ‘what’s the story?’ Moving from an analytical process based on data towards a narrative process based on people is key to the heart of change. Most of us have a fundamental yearning to connect with something that makes a positive difference to people’s lives – this is the essence of true service. And in the battle for the student experience and excellence in teaching, it is important to realise that unengaged staff will struggle to engage students. A – activity – active and energised participation builds ownership. In the same way that we would want students to be active participants in their own learning process, so should leaders want colleagues to be active participants in change and to share the leadership with them. Transforming spaces are needed for creativity, ideas and healthy conflict to flourish, not just once or twice a year but regularly, and part of the role of a transformational leader is to facilitate time, space, support and friendship. It is only out of collaborative engagement that we can build collective commitment. R – risk – psychological safety is needed to give people a voice. To speak up and be heard is a risky thing. To say, ‘this might seem a silly idea’ and have it go on to be the profound basis for change is what lies at the heart of this principle. Psychological safety is about ensuring that “the work environment is safe for interpersonal risk taking” (Edmondson, 2019), and this is key to creative change leadership. T – trust – “is the emotional glue that binds followers and leaders together” (Bennis and Nanus, 1985). A lot of the above will be hard, if not impossible, to achieve without trust. And trust in leadership is fundamentally about authenticity; speaking the truth with your own voice, as an admired colleague once put it. Leadership from within the group and as one of the group strengthens social identity and the overall engagement with and commitment to change will itself become more authentic as a result. So, in a very real sense this enlightening programme, LTLT, leads you away from the heart of darkness, a fear of change, and towards the heart of change: that is, change based on the things that people fundamentally care about such as serving others, transforming lives and making a difference. LTLT is an outstanding programme for some outstanding colleagues. I commend it to you. Use the following link to learn more about the Leading Transformation in Learning and Teaching (LTLT) programme and enquire about booking before the deadline of 10 May to participate in the next session which runs on 22 May. Achor, S. (2010). The Happiness Advantage: The Seven Principles that Fuel Success and Performance at Work. New York: Crown Business. Bennis, W. and Nanus, B. (1985). Leaders: The Strategies for Taking Charge. New York: Harper & Row.